Why Don’t More Wineries Enter The Governor’s Cup? In the weeks leading up to Virginia Wine Week, the big news in Virginia wine was the 2011 Governor’s Cup red winner – Fox Meadow Winery 2008 Le Renard Rouge. As I moved from table to table, chatting with the winemakers, congratulating them on their gold medals, and asking the obligatory ‘tell me about this wine’ questions that one should ask in such a setting, I wondered about the process that got them to this point. To get the back-story, I caught up with Yogi Barrett – head judge of the Virginia Governor’s Cup – to ask a few questions about the setup of the ‘Cup. Sponsored by the Virginia Wineries Association (VWA), the Governor’s Cup is a yearly competition that has been held since 1982 and is open to wines that use 95% or greater fruit grown in Virginia. For the 2011 Governor’s Cup, there will be two separate competitions – red wines were judged in January, and the white wine competition will be held in August and the results will be released in conjunction with Virginia Wine Month in October. 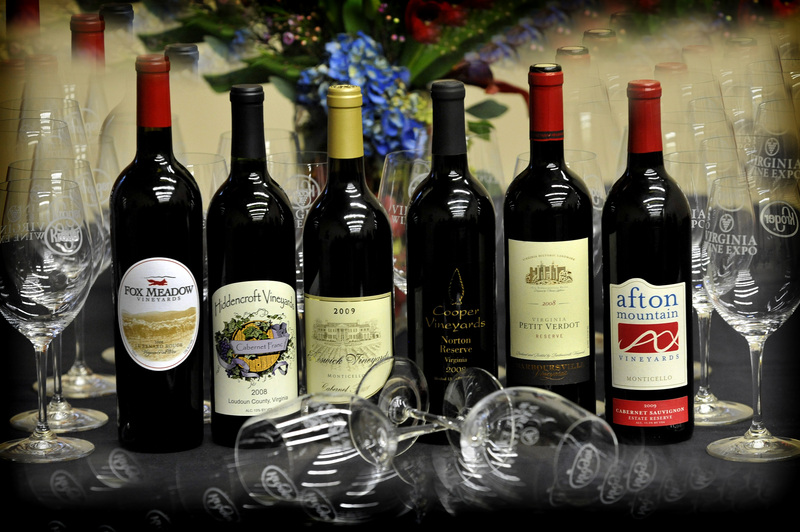 Twenty-nine judges participated in the red wine competition held in January. DWYL: What are the entry criteria? YB: Each wine entered must be made from Virginia grapes as governed by the VWA; a minimum of 40 cases inventory available in order to be judged; and a minimum of 100 cases available in inventory to qualify for the Governor’s Cup round if the wine receives a Gold medal in the first round. DWYL: How many entries did you receive this year? YB: For the 2011 Governor’s Cup we received 196 red wine entries. Editorial Note: Out of 196 entries this year, there were six Gold medals awarded for red wines compared to 17 gold medals awarded to red wines at the 2009 Governor’s Cup, and 15 gold medals awarded at the 2010 competition. You can view a complete list of all 2011 medal winners here. DWYL: What scoring system do the Governor’s Cup judges use for the competition? YB: The UC Davis 20 point scoring system is used for Governor’s Cup judging. I’ve used the UC Davis for 23 years and feel it provides the most straightforward and easiest method for rating a multitude of wines in a day. DWYL: I presume all wines are tasted blind. What is the setup of the tasting? What, if any, information is provided to the judges? YB: All wines are judged blind with each judge provided a scorecard for each. Wines are poured for the judges and they are given the number of the wine, the vintage, the variety/category of the wine and the residual sugar level (all on their scorecard). We do not have any flights larger than three wines. Preferably, we try to keep it to single or two-wine flights. All wines are judged in the morning round to determine if they receive a medal. All those receiving a Gold medal advance to the afternoon round to be judged for the governor’s cup. There are just over 190 wineries in Virginia, most of which produce at least one red wine, but only 60 wineries entered their wines in the Governor’s Cup. Why? What’s up with those other 130 wineries? 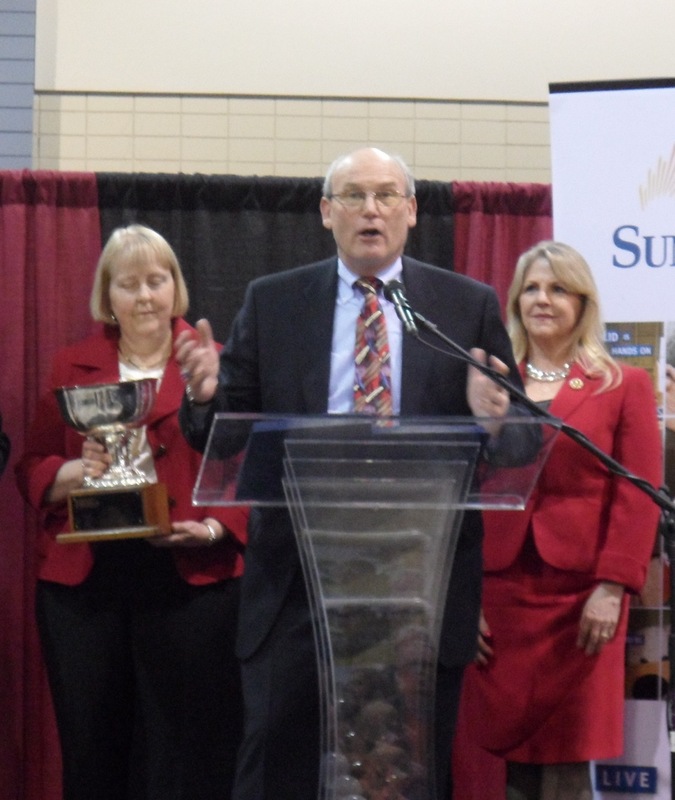 I realize the number of competitions is growing and can be overwhelming and it’s impossible to enter all of them, but the Governor’s Cup is one of the most notable wine competitions for Virginia wine. I would expect more involvement from the home team in the home teams primary event. I was also disappointed to learn that several of my favorite wineries did not submit wines for the Governor’s Cup. Would be curious to hear from a few wineries as to why they do not enter the Governor’s Cup, or other competitions. Bob Mortland of Fox Meadow giving acceptance speech. Cheryl Mortland and First Lady of Virginia, Maureen McDonnell in the background. If you missed the Virginia Wine Expo this year, I highly encourage you to make plans to attend next year – especially the Friday evening Grand Tasting where the crowds are much smaller.